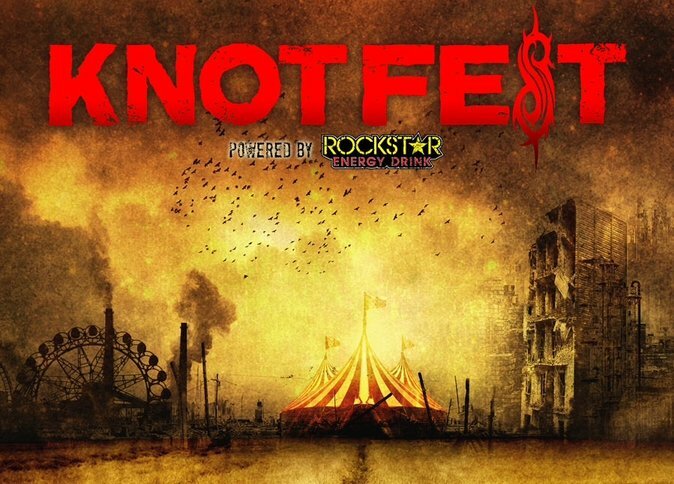 The daily set times for this year's Knotfest music festival have been revealed. You can check out which bands are playing at what times below. Are you going? If so, who are you most excited to see? I write down things in life that are special, that only living in this thought process can you ever obtain. Freshly mowed grass. How it smells when a nice spring rain hits. Because of Iowa, I like being in a different state that doesn't even have grass and think that I smell fresh-cut grass,” he explained. “It brings me home. Makes me feel safe… So, I figure, since we're not a band anymore — we're a culture, everybody needs to get used to that real quick — that the culture has to have a smell.” He concluded with, “You have to be able to be somewhere in the world, maybe be in a little pain, and then all of a sudden smell that and feel good again. Note: Slidebar’s The Battle For KNOTFEST 2014 winner Bloodscribe will also perform at the festival. Details are TBA.